57 Helen Fielding, Bridget Jones’s Diary, (1996). First published by Picador, an imprint of Pan Macmillan. (c) Helen Fielding, 1996. Sincere thanks to Pan Macmillan for the permission to include this quotation. 60 Gordon Wardlaw, Anne Smith, Contemporary Nutrition, seventh edition, McGraw Hill (2009). 61 BUPA, Healthy Living, produced by BUPA’s health information team, 2nd edition edited by Alastair McQueen, published September 2007. 69 Liz Vaccariello and Cynthia Sass, Flat Belly Diet, published by Rodale, Pan Macmillan (2009). 70 Bikini Fit: The 4-week Plan, written and published by Hamlyn, (2003). 71 A-Z of Calories: Britain’s No 1 Calorie Guide, published by Octavo Publications, (2010). 72 Lorraine Kelly with Anita Bean, Nutrition Made Easy, published by Virgin, (2009). 73 Gill Paul, The Little Book of Calorie Burning, published by Harper Collins, (2008). 74 Bruce Byron, Fat Bloke Slims, published by Penguin, (2009). 75 ITV UK, The World’s Best Diet: A Tonight Special, aired 23 June (2009). 76 Terry Maguire and David Haslam. 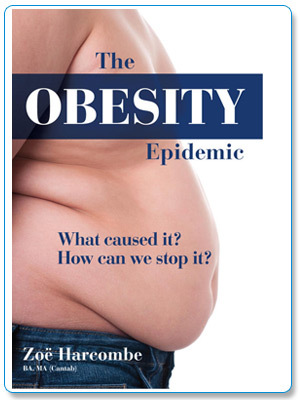 The Obesity Epidemic and its management, (p149), published by Pharmaceutical Press, (2010).